I am proud to say that the second edition of the Jackson ADR Handbook has been published! We were involved in the editorial board. Let us help you to find a mediator and put it into practice! 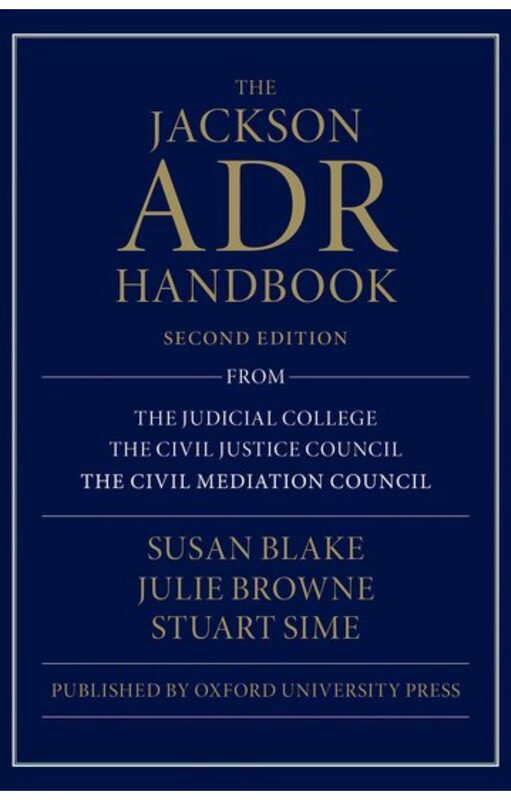 The Jackson ADR Handbook was created following recommendations by Lord Justice Jackson that an authoritative handbook for Alternative Dispute Resolution (ADR) should be prepared. The first edition laid a strong foundation as an essential guide to ADR and received judicial endorsement in the Court of Appeal and the Technology and Construction Court. 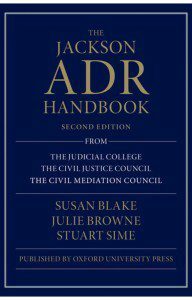 With the benefit of a few years hindsight on the implementation of the Jackson reforms, this new edition builds on the success of the first edition to provide an updated guide to all aspects of ADR. With a strong focus on practical guidance, this second edition maintains the concise and user-friendly format of the first. It includes an in-depth overview of the different options and principles of ADR, as well as sections on: the interplay between ADR, CPR, and litigation; negotiation; mediation; recording and enforcing settlement; and other alternative dispute resolution options, as well as giving a summary of the international perspective. Additional materials such as mediation providers, specimen documents, precedents, and practice tips are available on a companion website.